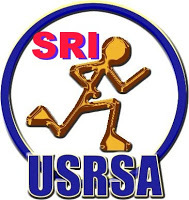 Head to the USRSA site to learn more about streaking (the socially acceptable way) and to register. We know you are out there! RPM is looking for a few good streakers so we can share your story, and keep tabs. Our own Mariah Cressy is into her second year of streaking, not to be outdone by husband George at just shy of four years. Can anyone out there top that? OK, maybe it is not for the masses, but more and more runners are joining in (and registering for) the challenge. If you are a Michiana Streak runner, contact us! We’d love to hear your streak value, what were your toughest runs and what motivates you.